Did you know Myrrh essential oil is the oil of mother earth? This oil nurtures the soul’s relationship with it’s maternal mother and with the earth. This oil also supports people who have a breakdown of their peaceful connection with the mother-child bond. When this bond has been broken apart, the soul may loose its childlike ability to trust. Myrrh is nature’s miracle herb. It was one of the three gifts given to Jesus by wise men at His birth. Referenced in the Bible as the Balm of Gilead, Myrrh has been used throughout history as a perfume, incense, and medicine. It was also employed in embalming and religious ceremonies. The name Myrrh is derived from the Arab word ‘morr’ which means ‘bitter’. 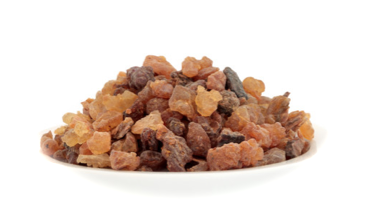 Myrrh, botanically, is an aromatic gum resin, an oleoresin to be specific. Oleoresin happens to be a natural blend of a resin and an essential oil. It is obtained from thorny trees of the ‘Commiphora’ genus when a wound in the tree trunk causes it to secrete a resin. The resin has a waxy texture and once harvested, it becomes glossy and hard. The trees are native to regions of Somalia and Ethiopia. Ancient records show that Myrrh was deemed so valuable that at times it was valued at its weight in gold. Myrrh essential oil is derived from the gummy resin of the small, thorny Myrrh tree and has been used for centuries for its internal and external health benefits. Myrrh has powerful cleansing properties, especially for the mouth and throat. It is also soothing to the skin—promoting a smooth, youthful looking complexion—and promotes emotional balance and well-being.